The FBI has been called to investigate a laser beam allegedly being aimed at the cockpit of an airplane that was doing surveillance of an ongoing oil pipeline protest in southern North Dakota. Morton County Sheriff's Office spokeswoman Donnell Preskey says the alleged incident happened over the weekend. She did not immediately know which agency was flying the state plane. She said no one was hurt and there was no damage. Lasers can distract or temporarily blind pilots. Directing a laser at an airplane is a federal offense. 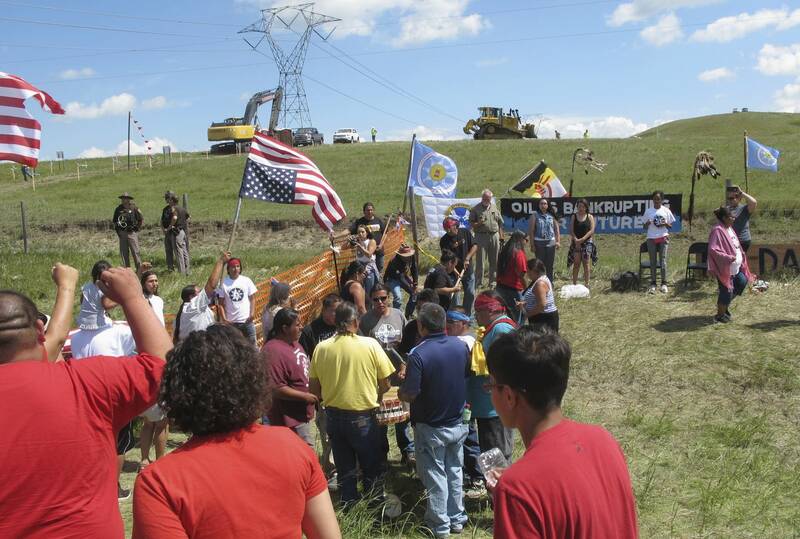 The protesters have disrupted construction of the $3.8 billion Dakota Access Pipeline that's designed to carry North Dakota crude to Illinois. Construction has been temporarily shut down until a federal court hearing Wednesday.